This entry was posted in Move, Running and tagged exercise, fitness, Greg McMillan, marathon, move, Race, run, running, training. ← Happy International Women’s Day! Let’s Recognize Some Amazing Female Athletes, Shall We? Best of luck with the rest of your training plan. Have a great marathon! I bet it’s a pretty race. Dying to get back to the Pacific Northwest. Thanks! It is a beautiful race! At least it was last year. I’m definitely looking forward to it. I love this, and will keep this in mind when i am training for my Marine Corps Marathon. Excellent! Good luck to you! I’m glad you reviewed the training plan in this book – it’s always good to mix things up, and I’m glad you are making the plan fit for your life and fitness needs! Thanks, Laura! It’s always fun to try something new and see it start to work! This is awesome, I’m training for my second marathon too! (Portland in October) Similarly, I did a Hal Higdon plan the first time and am looking to tweak things this time around so I will definitely be checking this out. Good luck and thanks so much!! Thanks, Mary! I hope you find some useful tips from it and good luck in Portland. I’m planning on running it, too, so I’ll be curious to hear how your training goes! Love it!! You’re going strong!! Good luck with the rest of training!! I also use Greg’s methodology for pacing short and long runs so I can eventually meet goal marathon or half times. Ive been following the method for three years and it’s pretty accurate especially the 2 mile tests. I’m glad your finding guidance to marathon training that is working for you. I feel like every runner should be open to new ideas and plans because why wouldn’t we all want to improve or learn something new? Hope the rest of marathon training goes well for you! Thanks, Holly! It’s great to hear from someone who has had some success with his methods. Good luck! I’ll be training for my first half marathon here shortly, and it looks like that book may be a good one to pick up and read along the way! Since I often train with Team in Training, I end up kind of just going along with their plan (which to me seems like it is based on Hal Higdon’s), but the coaches are always giving input about how to personalize things for our bodies and trying to impress upon us how important it is that we listen to our bodies. I’m going to have to check out this book! Sounds like good coaches! Team in Training seems like a really great group. Sounds like a good book for training. I’ve only read some of McMillan’s running tips in Running Times articles, and they were all very helpful tips. Good luck with your marathon training 2.0! 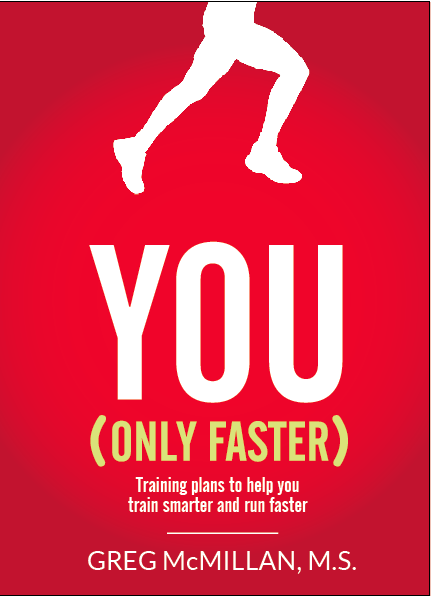 I’ve been wondering how to personalize my training, as well (still following one of the Hal Higdon plans). This looks like a great book to check out! Thanks for sharing, and I look forward to hearing how it all goes! You’re welcome! And, yes, I definitely recommend it. There are lots of articles and tips on his website that are helpful, too, once you have a good understanding of his methods. Five weeks in, your just beginning. Try to keep the joy and enthusiasm. All those runs can turn into wok or duty after a while. 15 weeks is about right. I did 18 weeks last year and it was 3-4 weeks too many. As a once-in-a-while runner (I have only done 2 10K and many 5K) I love how it’s going for you. I really wish I had more confidence to run longer and stronger. I have so much fun running, I know this much. I just wish I knew how to do more. You’ve made me want to run out (ha) and buy that book! Thanks for the info and good luck with the rest of your training! Amen, Shannon! Running guru George Sheehan used to say we are all an experiment of one, as you point out. I followed training programs for my first couple marathons and wound up running injured from over-training. Now, with over a dozen more in the books I’ve learned to do what works for me. An experiment of one. Well done! He was a wise one, that Sheehan! I occasionally read some of McMillian’s training advice, but haven’t read this book. It’s time.